Often, managing audits without a workflow tool involves storing information in multiple files in a non-centralized information repository. 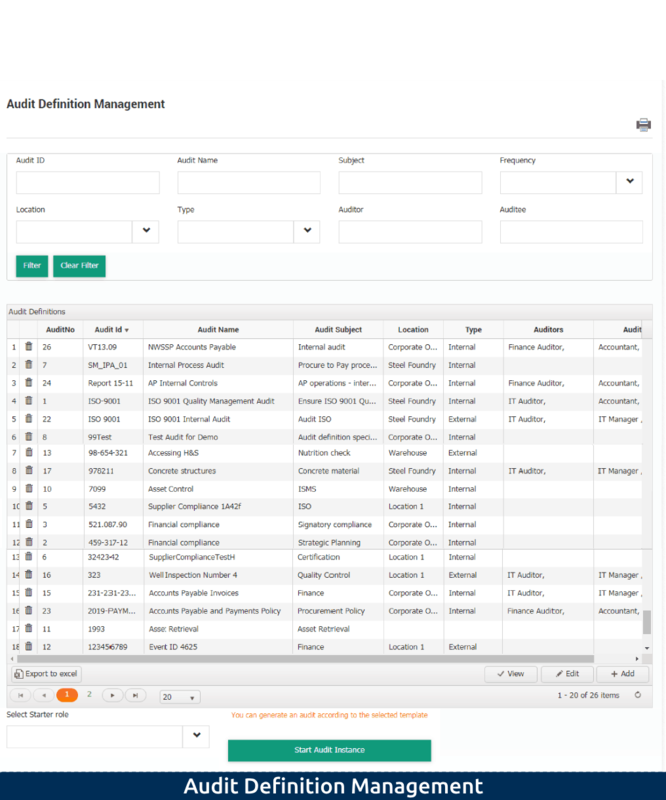 Interfacing’s audit management application features a single web-based interface for managing and storing all information relative to an audit. All modules are designed to perform specific tasks, but are interrelated and supplementary to each other. Data easily flows and integrates across applications and terminologies may also adapt to specific business requirements. All features are reusable, searchable and reportable, which drastically reduce the time to plan, customize and document all stages of an audit by means of automation. 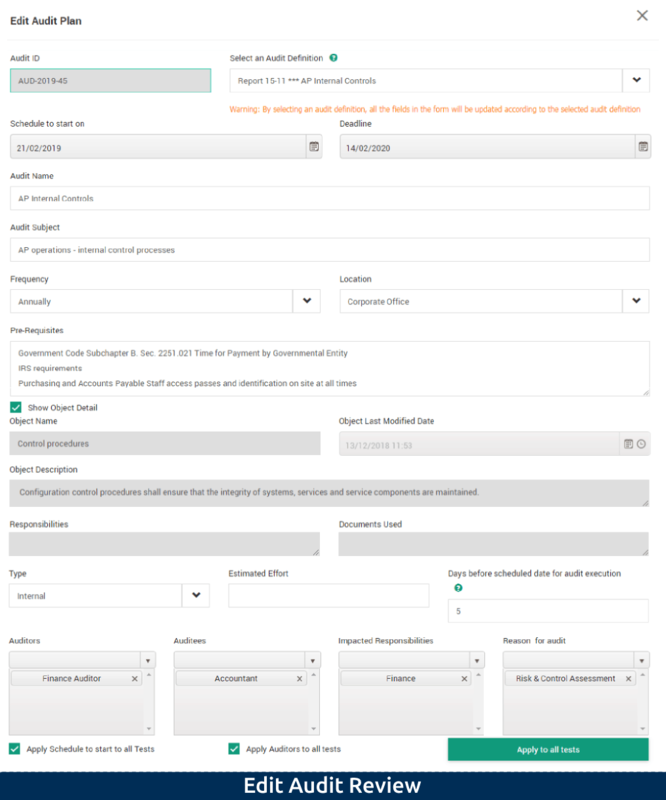 Furthermore, with highly flexible and configurable functionality across all modules, forms and fields, our solution greatly simplifies the complexity of creating and managing a fully transparent audit cycle. All in all, with Interfacing’s help when taking on compliance initiatives, organizations are much more likely to succeed, as they apply a structured, timely, and comprehensive approach in adhering to regulatory standards. Interfacing offers repositories for all audit and test instances. 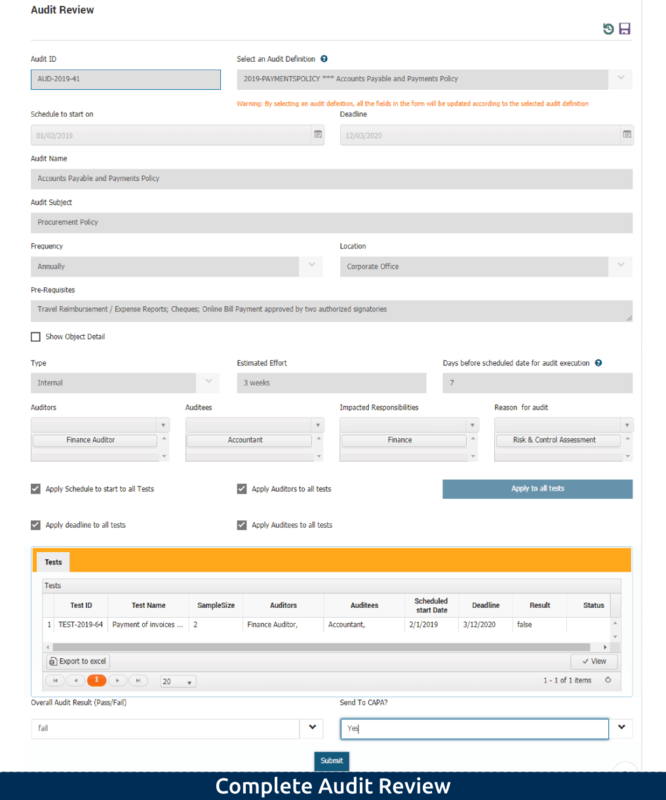 Through our Audit Definition Management and Test Definition Management modules, users can narrow their search by selecting one or many fields for audit or test look-up purposes; they can search and sort through each column (Audit/Test ID, Audit/Test Name, Frequency, Sample Size, etc.) or filter their search by Auditor to see all tests or audits relative to one person, for example. Additionally, users may associate a test or multiple tests to an audit, rendering all test definitions and audit definitions reusable. To begin with, audits are triggered-to-start ad hoc or based off of a pre-set schedule. After a schedule is set, it will undergo a review and approval cycle, resulting in a final schedule. Tests are executed on the audit date (or other specified date pertaining to a test) and results are captured. A final audit review stage executed by a manager may trigger CAPA, if deemed necessary. Although an audit may close, a CAPA may remain open until all actions have been satisfied. Users may schedule recurring audits, where key attributes such as auditor and auditee, audit deadline, trigger to start on, prerequisites, etc. may be set in advance. 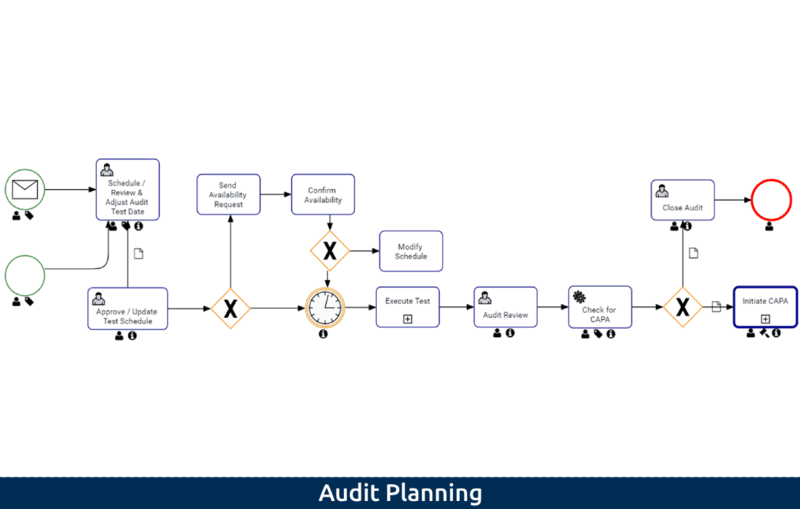 This way, organizations will be able to automate audit start date x days before scheduled date, automate reminders, schedule approval cycle, track notifications for audit manager, hardcode or manage auditors and auditees independently through an external module. Never miss an opportunity to validate compliance! Users are capable of adding and executing tests. 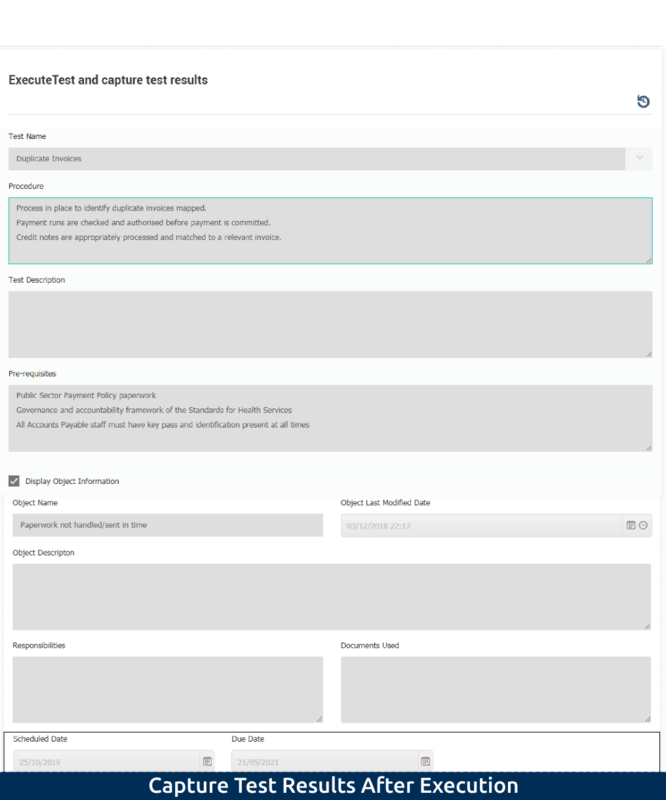 All information that had been entered into the test definition form will populate the Execute Test form, enabling all auditors or other testers to review vital information pertaining to their test. 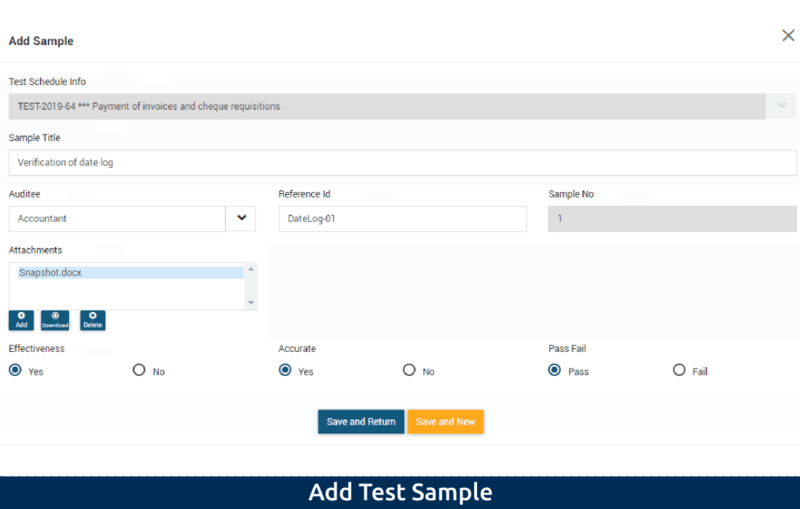 Information such as prerequisites, scheduled date and due date, frequency and sample size are available to the user executing their test. As they execute their tests, they create test samples and assign each one an overall grade of pass or fail, determining the strength and status of the control, overall. During a review cycle, a manager may view, edit, or add sample results. If your company is undergoing two audits at once, for example, ISO 9000 and COBIT – their similarities allow you to leverage one test result for the other audit! Furthermore, pre-defined tests may be altered and reused at your discretion to fulfill your business needs. Interfacing’s solution can hold all audit history and results in our repository! The “Yes/No”, “And/Or”, and “Pass/Fail” buttons can help users determine sample effectiveness and accuracy easily and quickly. Users are able to add multiple samples without exiting the “Add Sample” window, adding a layer of automation to their evaluation process. 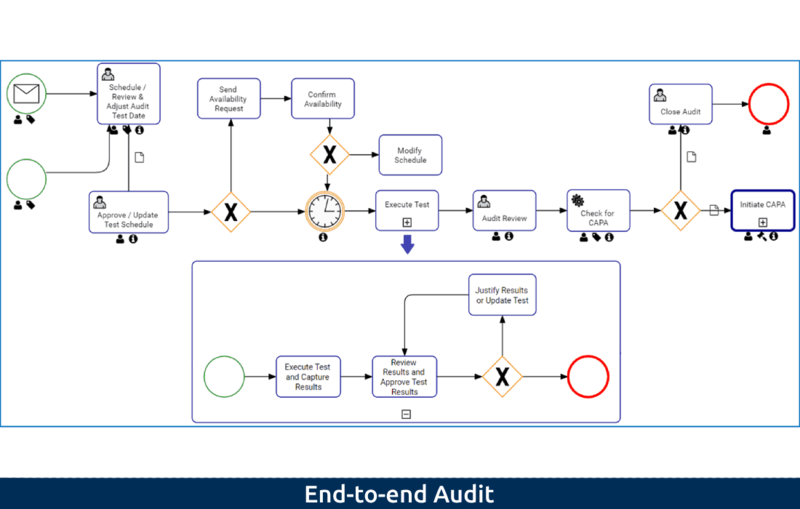 To ensure a high degree of accountability and create a way to clarify inconsistencies, users can establish responsibilities by role and view all stakeholders involved in the audit approval cycle. Our Audit Review form displays all inherited audit information, as well as a dropdown to grade the audit result overall (pass/fail). The form also features a dropdown that triggers an automatic escalation to CAPA by selecting yes or no. We’re also aware that even though an audit may assume a passing grade, it could still require the CAPA process! Lastly, our Audit Report provides drilldown report visualizations that enable users to view all calculated metrics and data related to an audit instance (e.g. status of each associated test, adequacy and effectiveness of each test, auditor responsible for each test, etc.). As one of the most common problem management best practices, CAPAs (Corrective and Preventive Action plans) help organizations maintain ISO and other compliance standards. 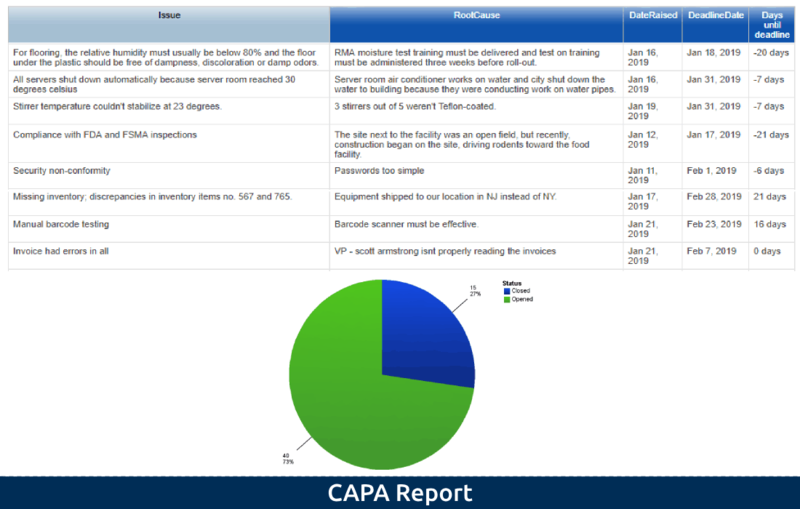 Our solution allows users to trigger CAPAs via failed audits, incidents, or ad hoc requests. 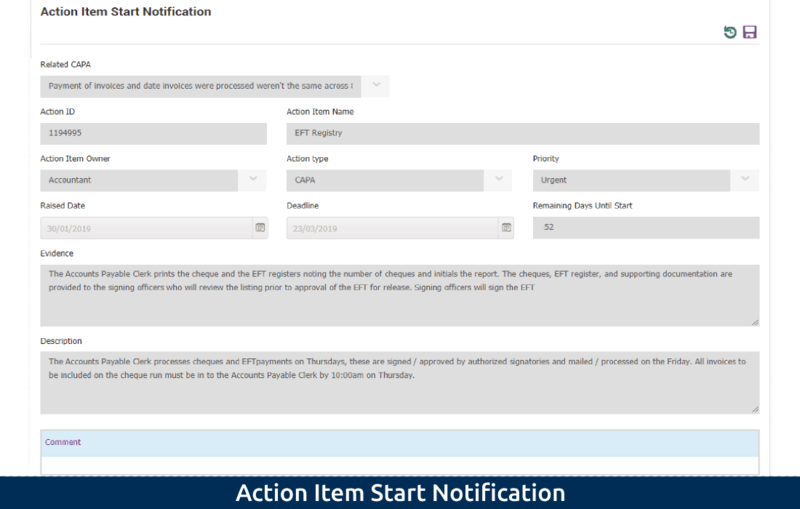 If the action item owner is away while the action item has been assigned to him, our system may automate an escalation request. After a given number of days, the task may automatically be sent to a different role of equal responsibility. Additionally, an action item owner may request one extension on his action item, as per the company’s business requirements. 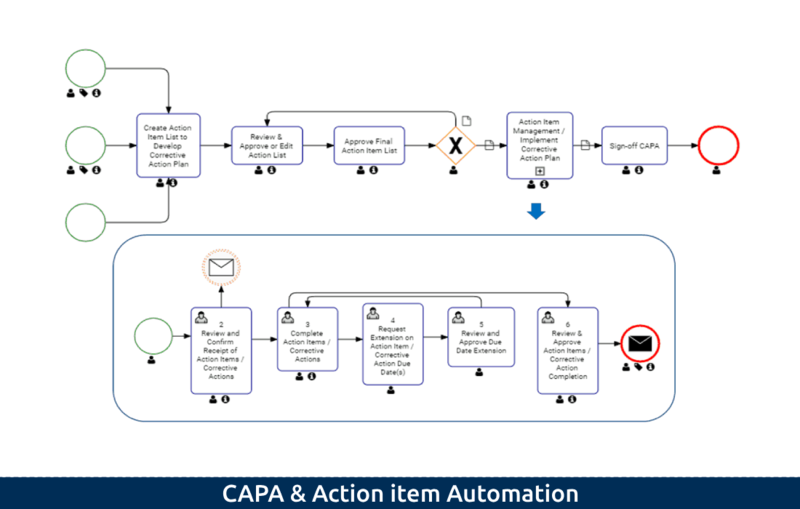 As CAPA is being created, a manager may add multiple AIs (action items) that define specific criteria such as AI name, owner, action type, and priority, etc. in the Create CAPA form. AIs are assigned to specific resources with specified deadlines and levels of priority. Action item owners collect and store action item evidence on completion. 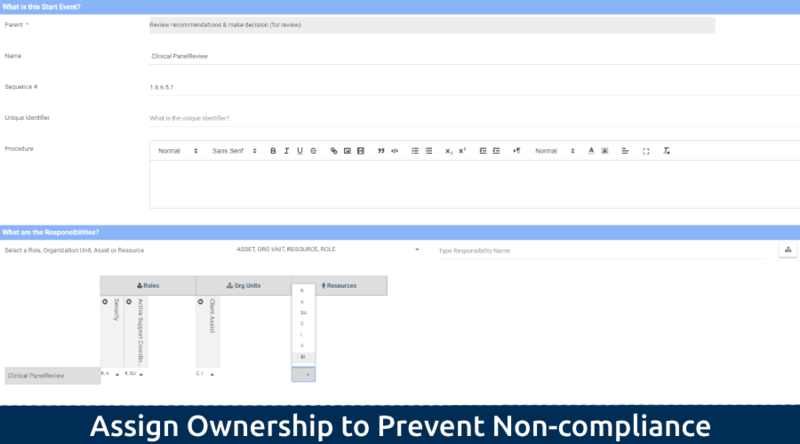 Process owners can, in turn, indicate their progress throughout these CAPA endeavors, review and approve AIs, and give their electronic signatures. Effective IcM (Incident Management) is crucial to prevent any hazard that can potentially harm an organization’s operations, services, and reputation. 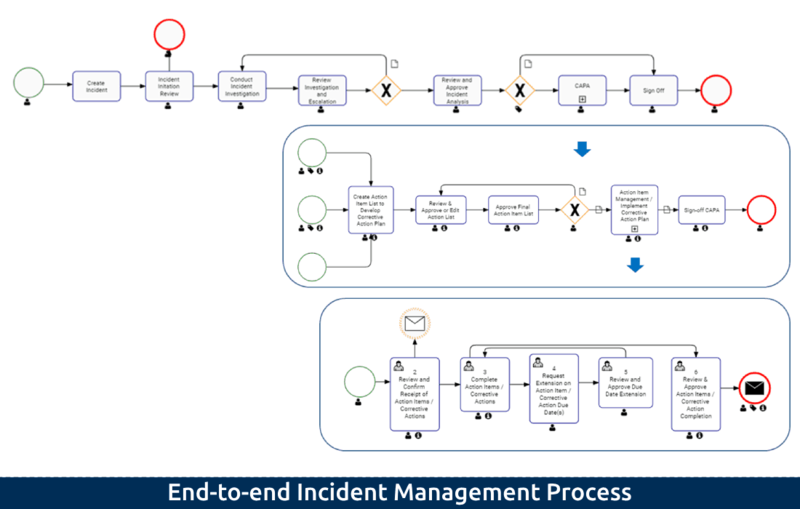 Interfacing allows users to build a panoramic IcM process, from creating incident ad hoc, conducting incident investigation, performing root cause and risk analysis, setting multiple review and approval cycles, to triggering CAPA process based on failed analysis. 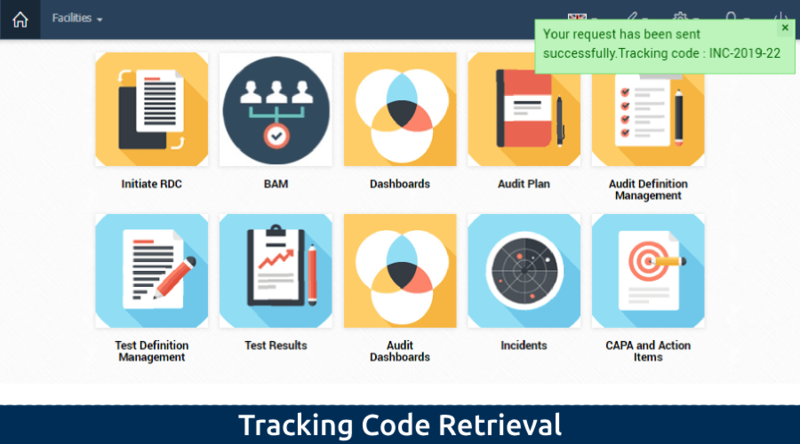 Using an automatically generated tracking code, users can effortlessly follow up on incident request at any step in the process. Incident-related graphs and documentation can also be easily generated from data that captures additional specificity. 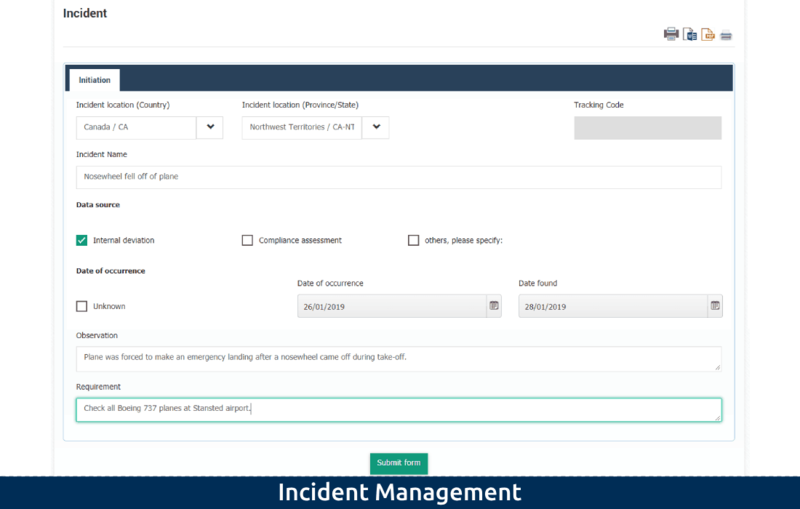 From an incident form, incident investigators are able to inherit all information entered at previous stages of the incident process. 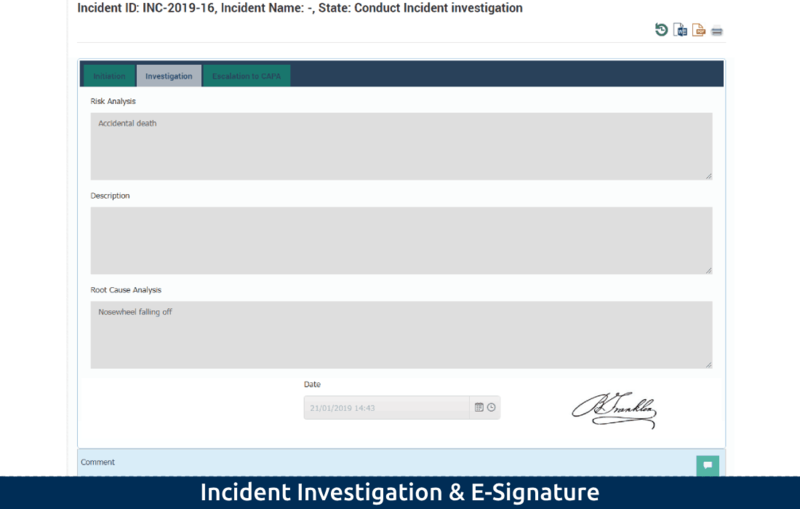 Any user with the proper security and status may view all details of the incident, trigger an escalation to CAPA if needed, and submit an incident sign-off complete with an electronic signature once the investigation has been concluded. 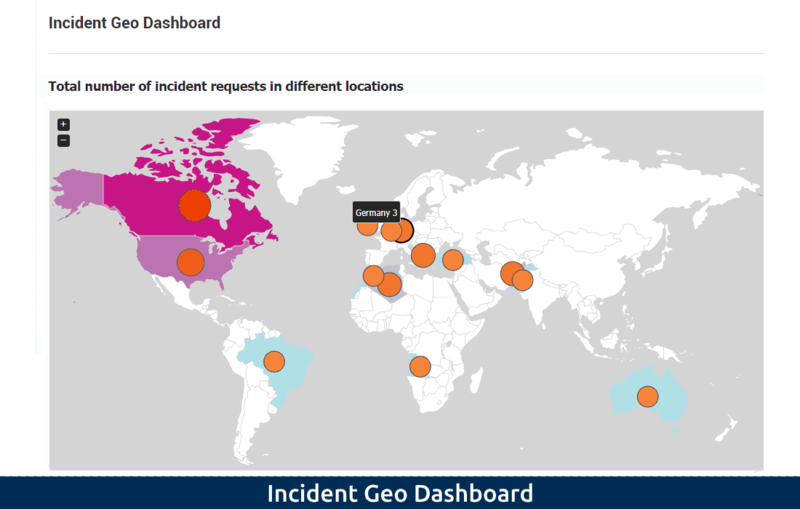 Our incident review option includes all fields inherited from the initial incident form (e.g., tracking code, location, analysis, investigation, etc.). 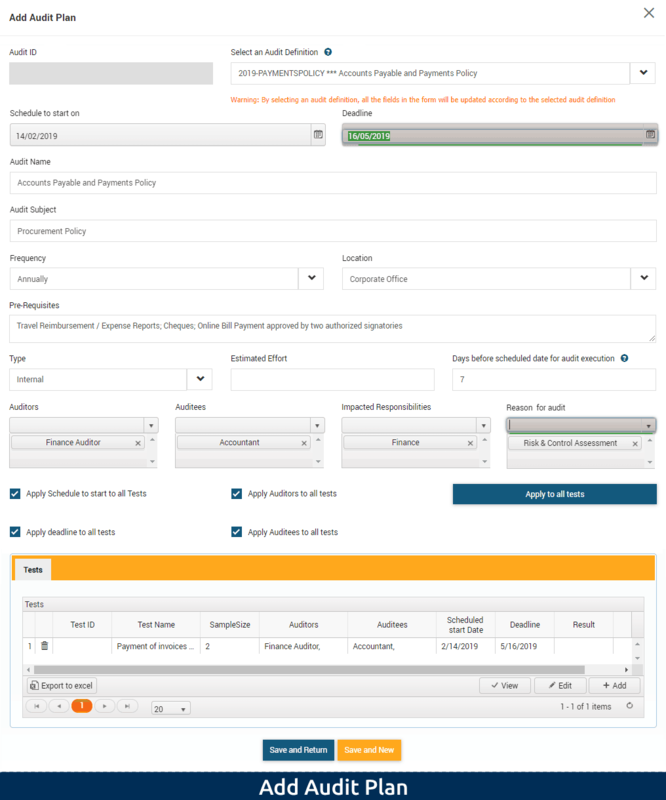 Users are capable of triggering process-loop backs if a form is rejected upon review, adding validation on fields to prevent a form submission without a signature, and setting multiple approval cycles that may precede any form submission step. 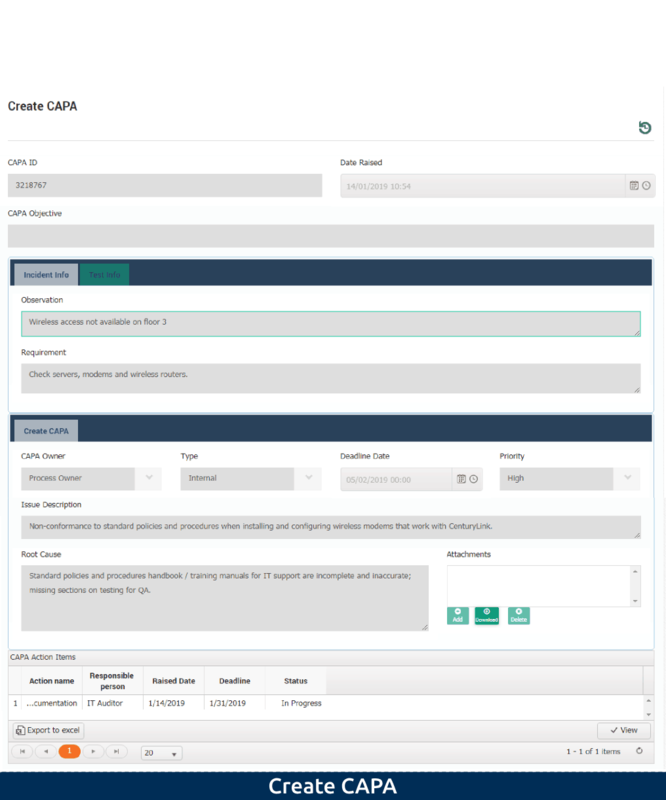 A user with proper security may drilldown into the details of an incident report to view subsets of relative information as well as expose and consult all related CAPA and IA details. 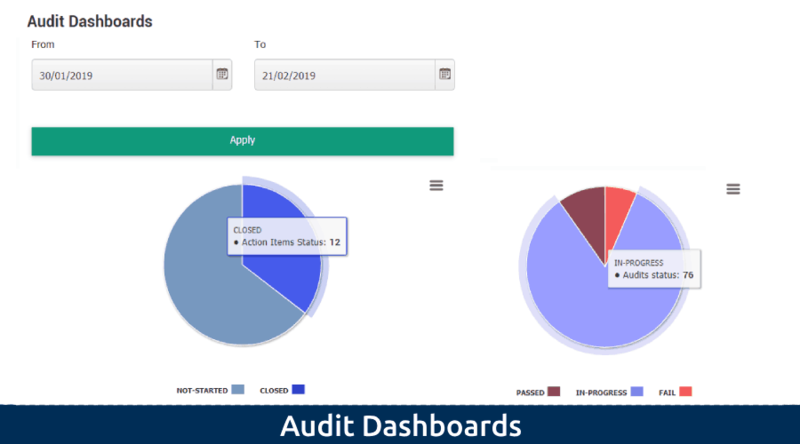 Automatically generated based off real-time data, our audit dashboards embed charts into forms and enable organizations to monitor progress of audits or tests without delay. Users can quickly and easily drill down audit dashboards and view outstanding tasks to better prioritize tasks. 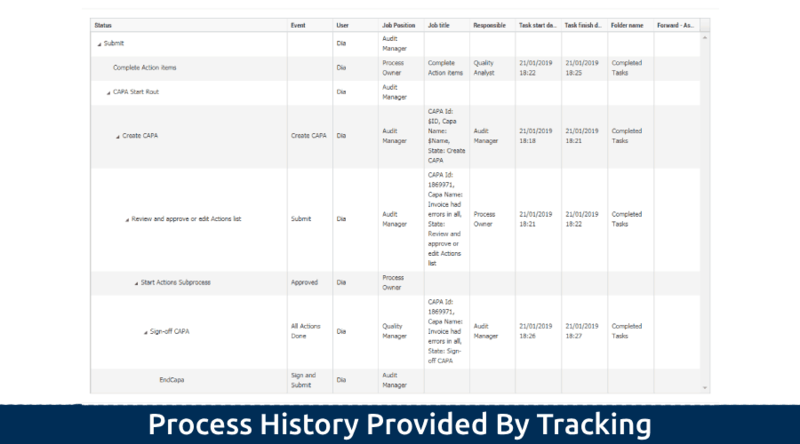 Moreover, using tracking code, users can track all fields of a process history, pass vs. fail results, and a complete audit trial to further detect any non-compliance activity. 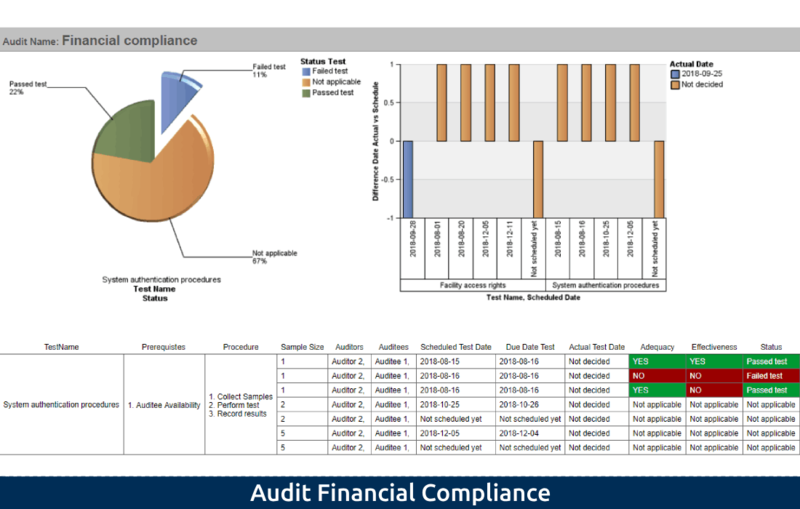 Our Audit & Compliance software solution features a single web-based interface and a powerful relational database, where all modules are interrelated and supplement each other’s functions, simplifying the complexity of creating and managing a fully transparent audit program. Data from one module easily flows and integrate into the other, offering full visibility across applications for centralized monitoring. 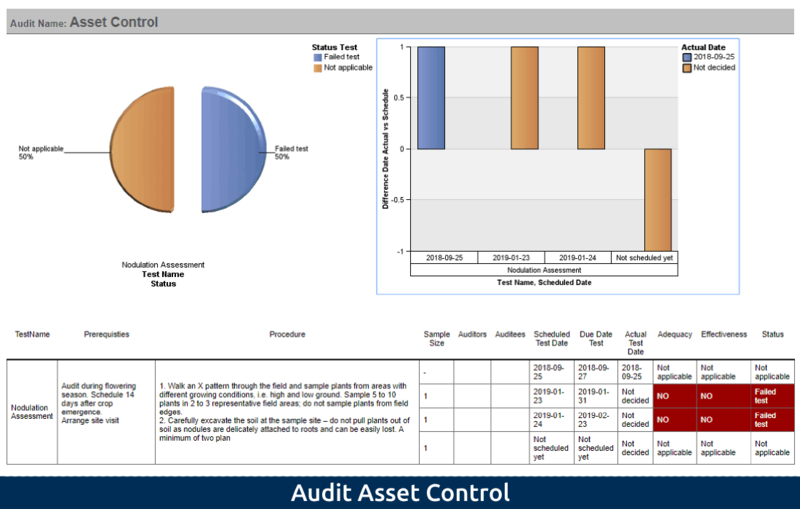 Users are capable of generating and exporting detailed audit reports using COGNOS in multiple formats (e.g. Excel, PDF, etc.) with a single click. According to different audiences and purposes, you can customize reports with your own logo to meet different contextual requirements. Most importantly, our solution assigns ownership on rules in order to translate rules into actions and clarify ownership. 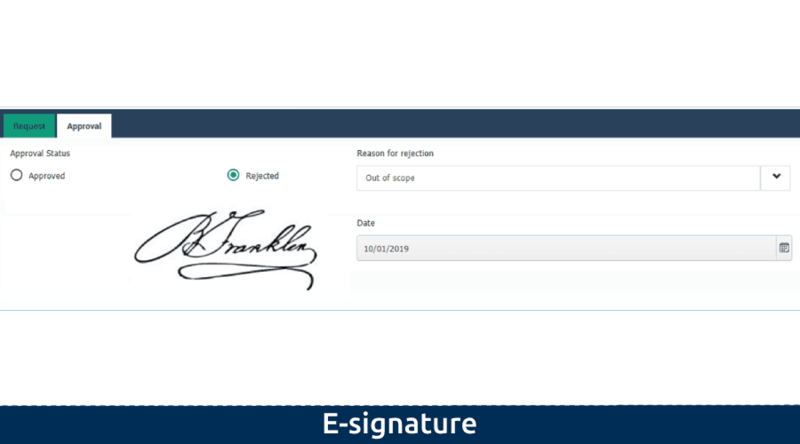 Our unique electronic signature feature, as evidence of audit supervisory review, is a great way to visualize compliance efforts and architecture of auditors. Our application prompts responsible employees on a timely basis to review content to ensure compliance is maintained efficiently and effectively. Users can automate and accelerate approval cycles by setting multiple rounds of reviews. Later, user- or role-based task notifications can be scheduled periodically or recurrently. With complete mobile functionality, users can also trigger escalations based on pending or overdue tasks via Email or SMS alerts. Users are also capable of integrating data from our application using REST APIs with 3rd party systems.